When I found out how much toxic stuff could be in bedding, finding a good pillow substitute for my down-filled pillow was the hardest. I have been on a mission over the last year to try out some non toxic pillows and blog about my experience. And (thankfully) I found the non toxic pillow of my dreams! Hurrah! 1. Wool pillow: I got an organic wool pillow with organic cotton casing for my daughter through Turn a New Leaf Designs’ Etsy shop based out of Nova Scotia. Wool is mold resistant, hypoallergenic, dust mite free, and a natural fire-retardant. I had purchased a toddler pillow previously, so it made sense to upgrade when she moved to her big girl bed. I won’t lie, I have slept in my daughter’s bed. After I invested so much to make it non-toxic and comfy, I have to say it is the most comfortable in the house. Anyways. I like the wool pillow but find that it gets a bit compressed after a while and doesn’t fluff back up the way my down pillow does. I think it’s perfect for my daughter who doesn’t need as much support, though. I would rate it 3/4 for me, and 4/4 for her (she’s almost 4 years old). 2. Shredded latex/natural memory foam pillow: I got this pillow through ethical Deal and was super excited about how much of a steal it was: I paid $49 for a $129 voucher to use on the Essentia website, which was the exact cost of the Comfort pillow. It comes with a removable unbleached organic cotton cover. I found this pillow to be too supportive for my taste – I felt it didn’t have the same kind of give I am used to with a down pillow. I also recently read some information that indicated that the company has been in some trouble for advertising that their mattresses are completely non-toxic, when this isn’t the case. I don’t know if the same issue applies to the pillows. Because I don’t have conclusive evidence on the company, I would rate this pillow 2/4 for me. 3. Spelt hull pillow: I got 2 organic spelt hull pillows through ethical Deal (I paid $30 plus shipping for both) from Purity Research Health. These pillows are encased in organic cotton and I tried the “medium” firmness. (Their “firm” option pillow has a zipper so that you can remove spelt hulls to adjust firmness.) They are smaller than a standard pillow, so I actually put 2 of them into a pillowcase and used both as one. This is probably the most different type of pillow if you are used to down-filled the way I am. It isn’t fluffy because it is filled with hulls, and it is an adjustment to sleep on them and hear the rustling when you move. However, I found that it offered great support after I got more used to it, and will be fantastic for the summer months because it doesn’t get hot. I have to say that I was also impressed that all of their packaging was also green – recycled cardboard and non-toxic inks. I would rate this 3.5/4 for me. 4. Shredded latex and wool pillow: I got this pillow from inBed Organics, who graciously gave me a 50% discount on it (regularly $140 for a queen size pillow, shipping was $20). It is made with natural shredded latex and untreated organic wool, with an organic cotton casing. inBed Organics uses certified organic latex rubber from Sri Lanka. Latex rubber is from a renewable source and after twenty plus years it is 100% biodegradable. Latex rubber does not support dust mites, mold and mildew. Jem from inBed Organics recommended I try the latex and wool combo as a good alternative to down, as it conforms to your body, and can be fluffed out and doesn’t get compresed. I am happy to report that it feels as good as it sounds! It really does feel just as comfy as a down pillow, and is easily shaken to get re-fluffed. When my daughter comes into bed with me, she loves to sleep on this pillow too. I would rate this 4/4 for me, as well as for my daughter. Hands down my ultimate top pick! I hope this review helps some of you with choosing your own non toxic pillow. 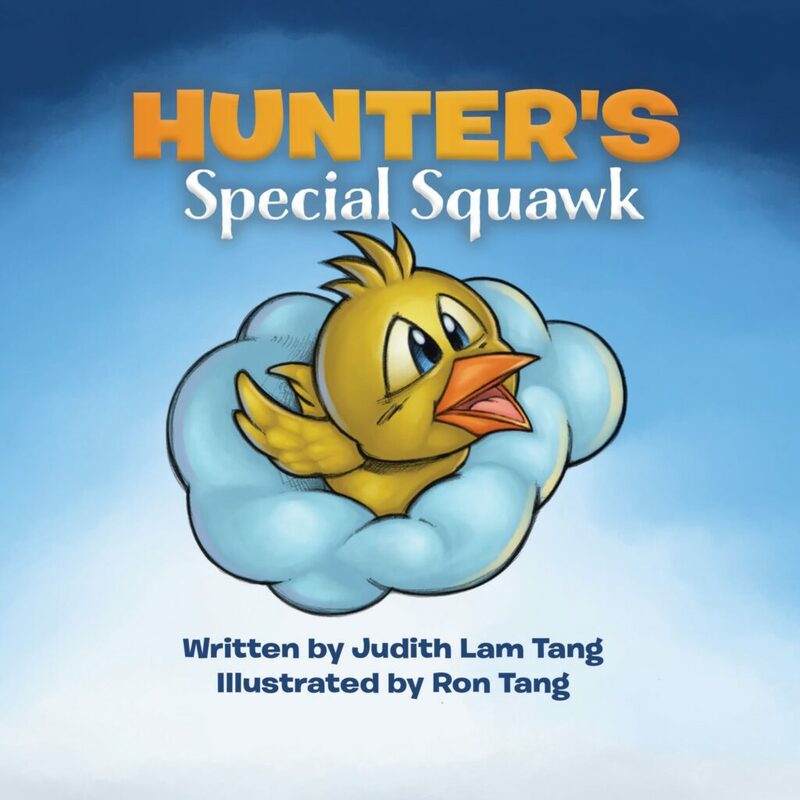 It is definitely something that takes some trial and error (and it took me a long time to finally be able to write this post because of how long I was looking and trying) but there are a lot of options available. You can definitely find one that works for you! 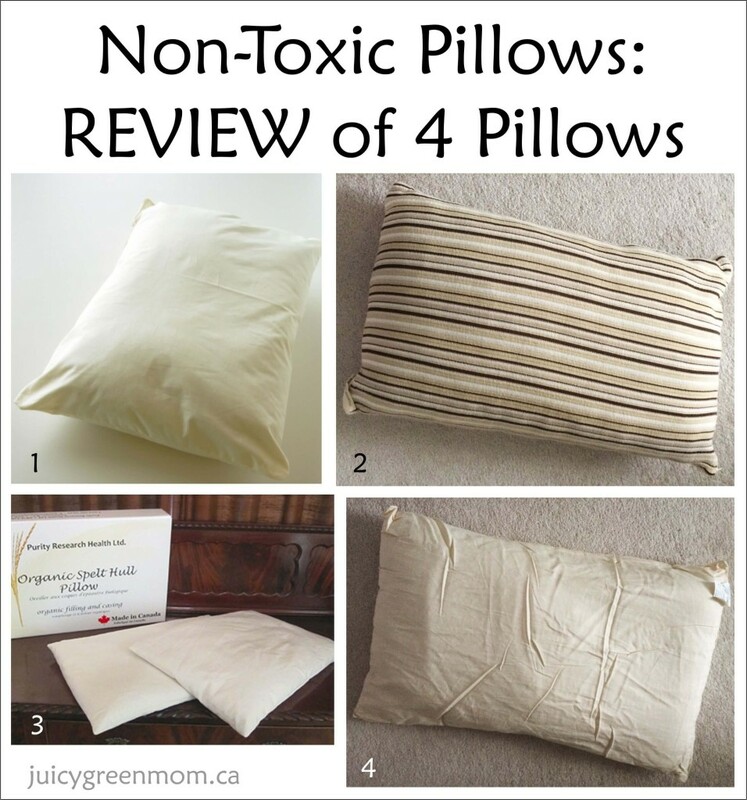 What kind of non toxic pillow will you try? I’m very interested in this post as I’ve tried some of the same pillows as you! I got a different Essentia pillow that is made from a solid piece of foam: large, heavy, and very firm. I liked it better as a cushion than a pillow, but my husband took it over and seems to like it. I am a convert to the spelt hull pillows! I have a full size one and I like the way the hulls move around inside so it adjusts to support whatever part of my head is whatever position I lie in. My husband laughs at me and calls it my “sack of rocks”. (it’s not really like rocks!) I also got the small spelt hull pillows from Purity Research and I would use one of them together with a thin regular pillow. How cool that you have tried some of the same pillows! I love the “sack of rocks” comment – I’ve heard a lot of people say that! I agree that the ability to adjust the spelt hulls is wonderful. Definitely takes getting used to, and that transition stage may be too hard for some. Thanks for your comment – it’s always wonderful to hear what you have tried and what’s worked for you! Thanks for your comment! Pillows are one of those things that you love and need but never really think about what it’s made of. (At least I didn’t until it was brought to my attention – that it started to freak me out!) What’s nice is that there ARE options out there!